Beth Carney seems to have a rare comfort with the controlled chaos that is central to artistic creation. As a dancer and choreographer, she has had years of practice divining artistic meaning through improvisation. It took a knee injury and a profound learning experience to bring that sensibility to her fiber art. Carney grew up in Yonkers, New York, in a household of makers. Her mother trained at the Fashion Institute of Technology, designed her own patterns, sewed a lot of the family’s clothes, and also painted. Her father was an engineer whose paintings were angular and structural. Both grandmothers were prolific knitters, and one could knit her intricate lace garments without a pattern. Her mother’s motto was “Why buy it? You can make it.” Accordingly, Carney was sewing from a young age. But her real passion, from age 5 when she saw her first performance, was ballet; she began lessons at 9. She fell in love with modern and improvisational dance at Ohio University, and in 1973 earned a BFA with a concentration in dance. After she graduated, she returned to Yonkers and danced in small semiprofessional companies in New York; she also formed her own semiprofessional troupe that performed in Westchester County. She has been teaching and directing dance since 1975. Today Carney teaches dance and choreographs at a girls’ school in Connecticut Tuesdays through Thursdays, leaving time for full studio days on Mondays and Fridays, as well as evenings and weekends. 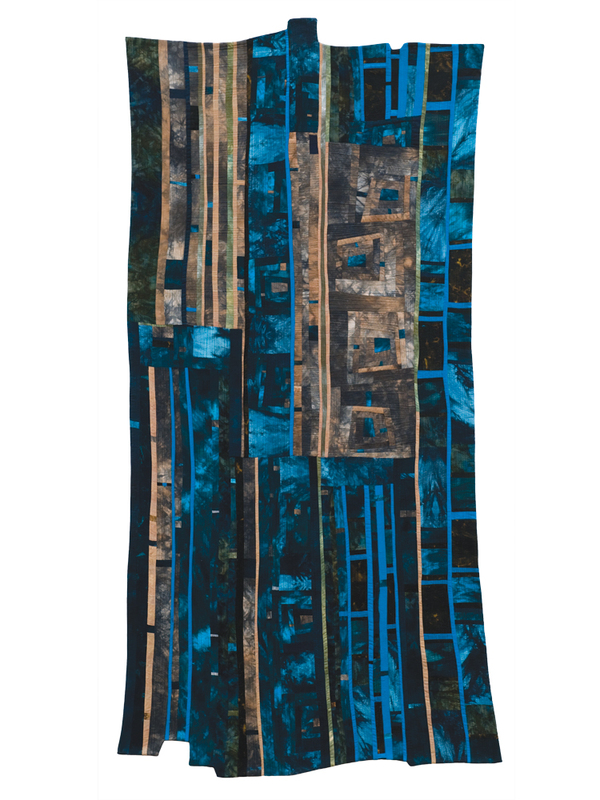 Initially, she wanted to make her quilts with very traditional techniques, so she created her first two with English paper piecing (basting each fabric patch around a paper template, then joining the basted shapes edge to edge), entirely hand-pieced and hand-quilted. In 1987 she had reconstructive surgery for a torn ligament in her knee, requiring a full year of recuperation. To keep her spirits up, her husband and father pooled their money to buy her a small Bernina 801 Sport sewing machine. From that point on, there was no stopping her. The more techniques she learned, the more she wanted to know. She took classes, joined a local quilting guild, and became an accomplished quilter. At the same time, she notes, “I became very frustrated working from someone else’s pattern.” As a dancer, she was accustomed to working intuitively and choreographing her own steps. 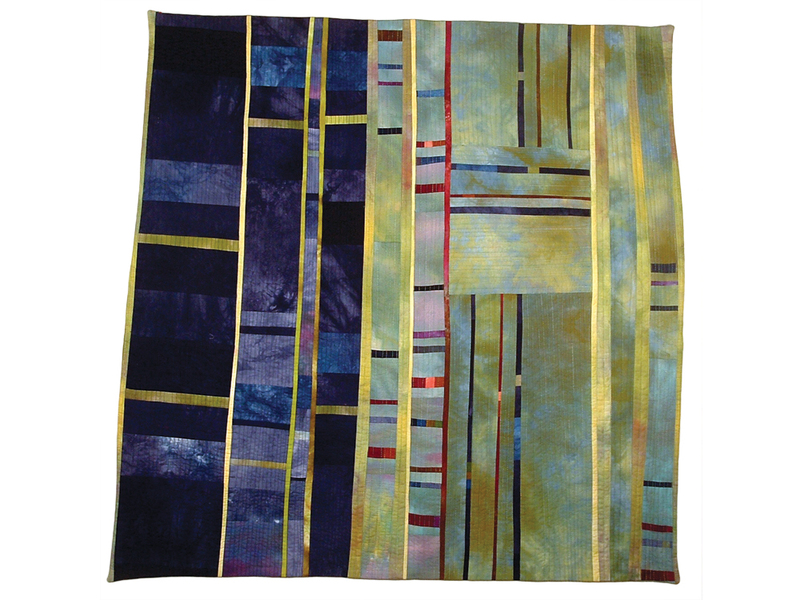 Why should quilting be different? 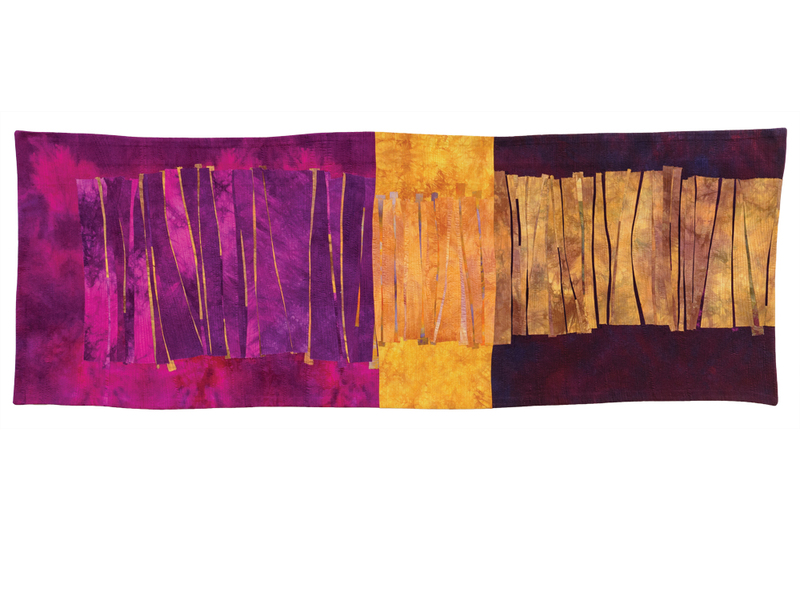 In 2001, she took a two-week intensive course with Nancy Crow, a 1999 American Craft Council Fellow and North Carolina Living National Treasure honoree, and one of the great innovators of improvisational quilting. Crow’s class gave Carney the technique she needed to break free. No longer did she need to follow a preconceived pattern in a set color scheme. Instead, she learned new techniques that allowed her to recut and “audition” shapes and colors throughout the creation process. 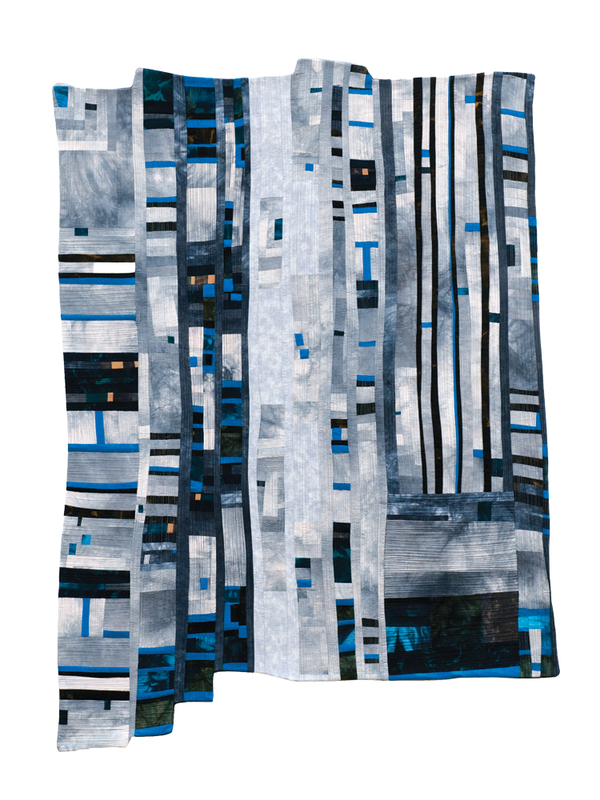 Since 2001, her quilts, imbued with a dancer’s grasp of line and movement, have earned a place in the country’s most prestigious quilt shows – four times at “Quilts=Art=Quilts” and three at “Quilt National.” Most recently, her Chasms 16: Under the Stars won second prize in the “Grand Central Centennial Quilts” exhibition; it will be on view through July 6. 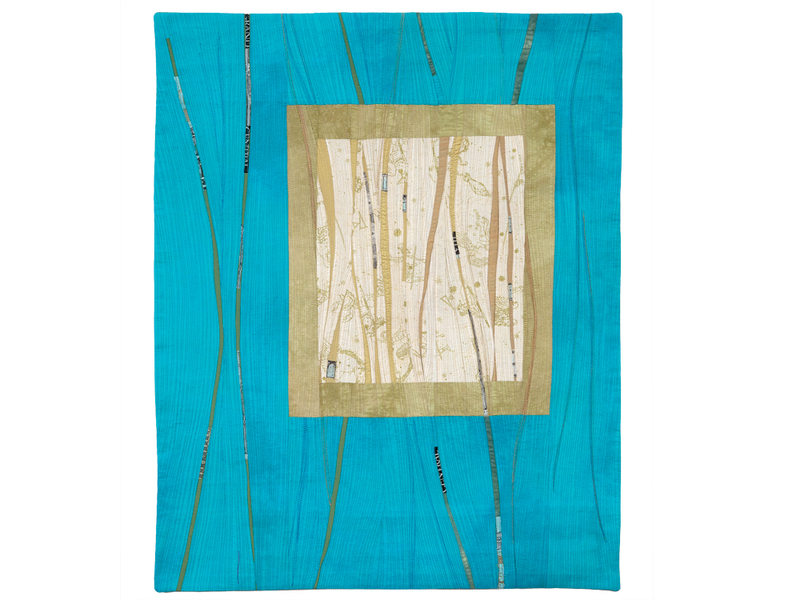 Rachel Schalet Crabb is a writer and fiber artist in Minneapolis.